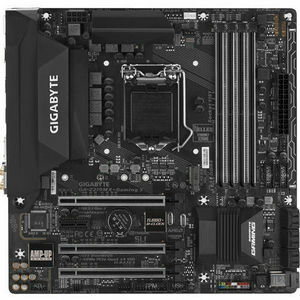 GIGABYTE brings even more color and life to your system with an Accent LED Overlay. This overlay complements the RGB Fusion technology in GIGABYTE Motherboards adding more flare and style to your gaming machine. With the swappable overlay users can utilize different patterns and designs to make their system their own. No need to worry when choosing light strips as the GIGABYTE motherboards support a wide variety of RGBW light strips on the market thanks to the RGB Fusion software that allows users to redefine the pin location for the R/G/B Signal.